80/20 Inc. provides modular aluminum T-slotted framing that can be designed to create solutions for any framing need. From light to heavy-duty, 80/20 modular framing is a perfect solution for machine frames, guarding, enclosures, displays, workstations, DIY home hobbyist, and wherever your imagination takes you! 80/20 is a T-slot aluminum building system you can use to construct virtually anything. 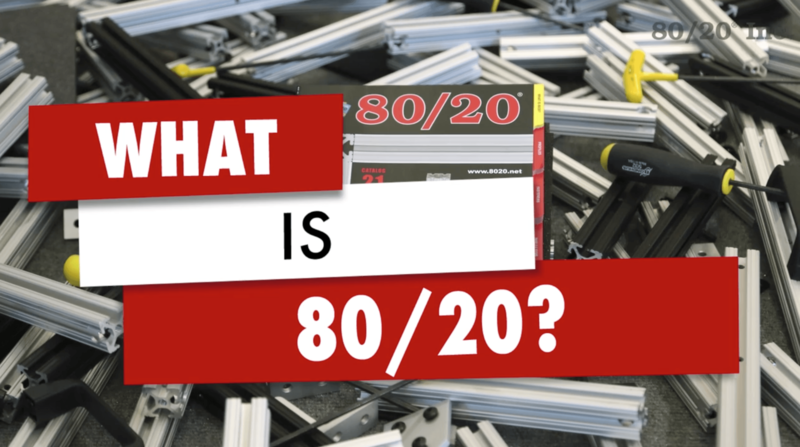 When you think of 80/20, think of it as an erector set for adults.